This miniseries gets better and better with each issue. And the fact that it has been coming out weekly means that the pace and excitement just keep building. 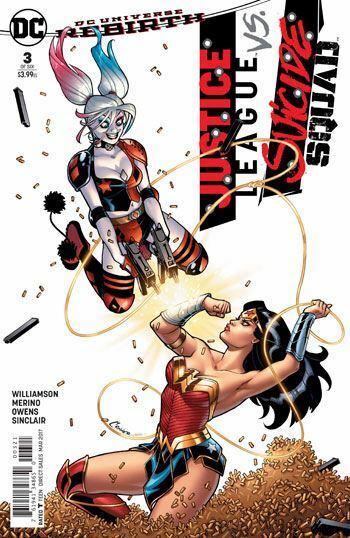 Interestingly, though this issue is packed with great moments, good laughs, and vital information, and is a gripping read from beginning to end, not a lot actually happens during this story, action-wise. To be honest, though, I didn’t even notice that while reading it, only when I went back over to look at it for writing the review. 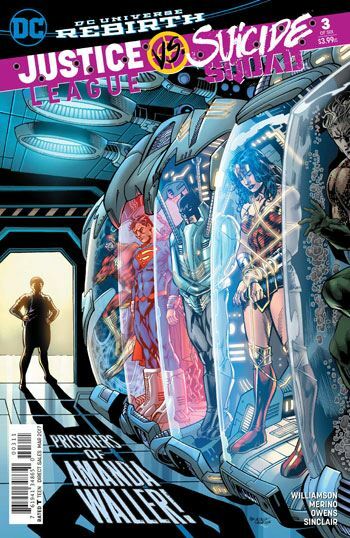 Picking up from the end of the previous issue, the Justice League are being held captive by Amanda Waller, while the Suicide Squad are out free. Well, not free, and not really out. But they are not the ones in cages, and are more than happy to taunt the Justice Leaguers, delighting in their situation. 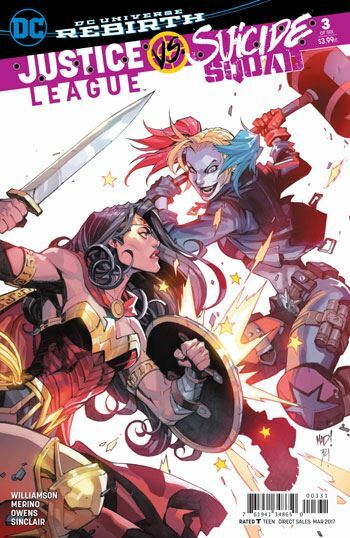 Among the moments I really enjoy in this issue are Superman’s conversation with Killer Frost, who is still trying to find her way, the statement that causes both teams to burst into laughter, and the fact that Amanda Waller had planned for Batman to escape his imprisonment, as he is the one she really needs to talk to. We learn quite a bit more about Maxwell Lord and his crew of villains. Dr. Polaris is Neal Emerson once again, that death having been undone. The Emerald Empress is clearly part of a larger plot thread involving the Legion of Super-Heroes, and though the Justice Society are not referenced in relation to Johnny Sorrow, his existence begs theirs. The moment that struck me the most, though, was Superman’s reaction, when Amanda Waller reveals that Maxwell Lord is the one they need to be dealing with. There can be no doubt, from the intensity of his expression, that in this reality Max took control of Superman, the way he did back in Sacrifice storyline.